Welcome to Topretirements Best Places Newsletter for October 4. Our Blog is seeing lots of interesting comments on articles like Medicare, "What the Experts Should Have Said About Retirement", and "Social Security Update- 2017". Subscribe to our Daily Alert and never miss a Comment or new post. Experience the award-winning lifestyle at the best active adult communities in the Southeast, Cresswind by Kolter Homes. 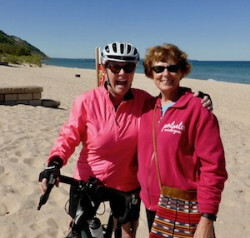 The Go Club Pass grants access to activities and amenities for a day at any one of our locations. 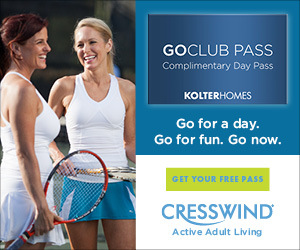 Visit GoClubPass.com. 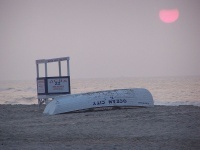 Originally founded as a summer resort for Methodists, Ocean City retains its small town, simple roots. There is the beach, and wow, what a beach it is! Many retirees have found their ideal here. With half of baby boomer retirees looking at Social Security as their major source of income, something has to be done. One solution is to find a roommate. Here are the pluses and minuses, and best ways to do it. Topretirements has reviews of well over 250 active adult and 55+ communities in Florida. So we were curious to see which ones are sparking the most interest among our Members and visitors. Pictured: Latitudes Margaritaville, the newcomer that stormed to #2. High on a hill just outside of Chattanooga many retirees are finding a small town with a low key but interesting lifestyle. It is beautiful and combines nature with a chance to be near a medium-sized city.